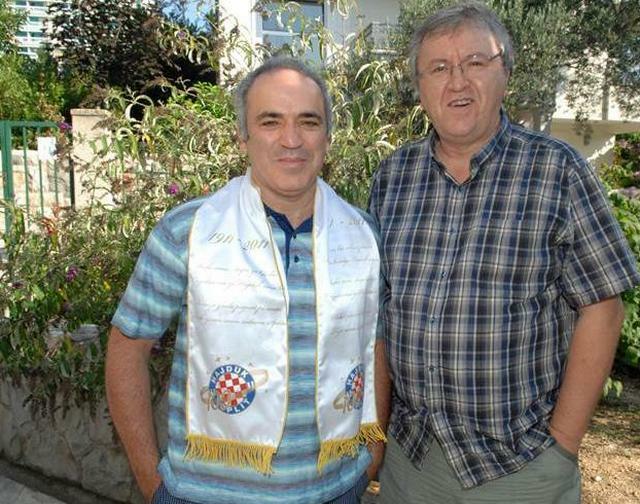 Garry Kasparov with a friend in the town of Makarska on Croatian coast, South-East of the city of Split. Mr. Kasparov is decorated with a shawl containing Croatian Coat of Arms. Photo by Fedja Klarić/Cropix. in the city of Vukovar in 1990s, during the Serbian aggression. Former world chess champion turned human rights activist Garry Kasparov has been granted Croatian citizenship. Kasparov, 50, has spent many summer holidays at a house he owns in the southern Croatian town of Makarska and he speaks Croatian language. He is also a member of the chess club in the eastern town of Vukovar, which he has played for in the past. Kasparov achieved international fame in 1985 when he became the world's youngest world chess champion at 22, beating Anatoly Karpov in Moscow. He went on to hold the No 1 spot as the world's best chess player until he retired in 2005. Born in Baku, Azerbaijan, in 1963 when the country was still part of the USSR, the chess grandmaster is known for his outspoken political opposition to the Russian president. His application for citizenship received support from politicians and organisations within Croatia. After they met in January, the Croatian president, Ivo Josipović, praised Kasparov for providing "great moral support to Croatia" during the country's war of independence between 1991-95. Kasparov is widely perceived in the country as having been a vocal supporter of Croatian independence. The Croatian war veterans' association has encouraged issuing him a passport. Kasparov and Josipović also played a game of chess together, after which the president boasted on social media that he held the grandmaster off for 33 moves. This week in the Croatian holiday town of Opatija, Kasparov discussed the idea of launching a local chess club with the minister of education and sports, leading to speculation in local media that he might settle in the town now that he has citizenship. In a letter published in Croatian media, Kasparov also spoke of his desire to represent Croatia if he decides to run for presidency of the World Chess Federation (Fide) in 2014, as is widely expected. Garry Kasparov in the Baška Voda resort near the town of Makarska on Croatian coast, in 2013. 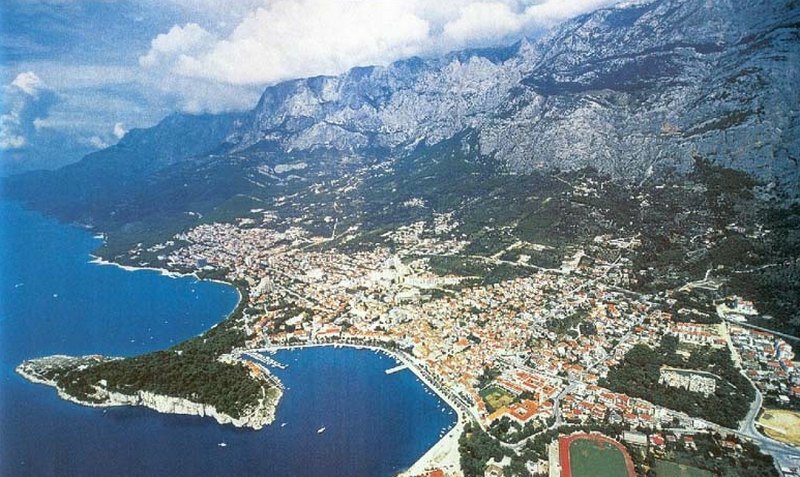 The town of Makarska, where Mr. Kasparov lives, is situated on the Adriatic coast, and under the mountain of Biokovo - one of the most interesting in Europe. Marko Marulić, Anthony F. Lucas, Goran Ivanišević, Toni Kukoč, to name just a few. Breathtaking view to the town of Makarska and to the mountain of Biokovo. 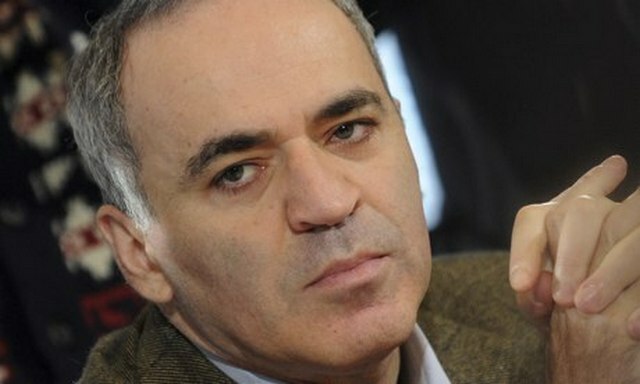 Mr. Kasparov is of Armenian origin on his mother's side, and Jewish on his father's side. Many thanks to Mr. Artur Bagdasarov, distinguished expert for Croatian language living in Moscow, for this information, as well as for his first information about Kasparov's Croatian citizenship. Can someone explain how he got citizenship in less then a month, when for the Croatian diaspora it takes up to 3 years to wait on an application approval. While I am happy for him, this is a slap in the face to all generations of Croatians that want to gain citizenship.